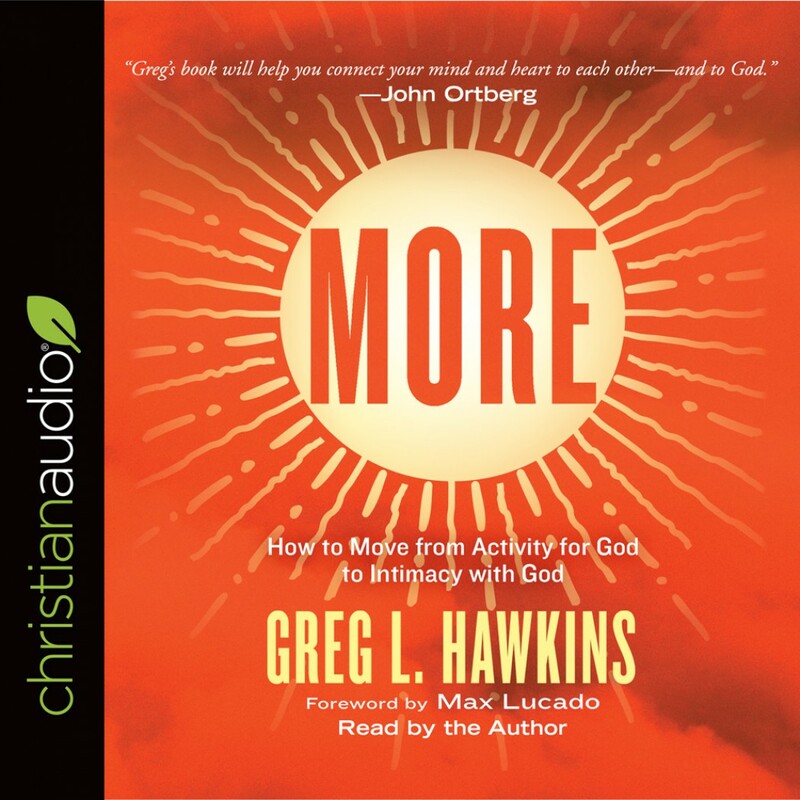 More By Greg L. Hawkins Audiobook Download - Christian audiobooks. Try us free. We start out with hearts brimming with hope and excitement. And that energy carries us for awhile, maybe even years. But one day we suddenly find ourselves like the man in the Prodigal Son story: half-dead, going through the dreaded motions hoping no one around us notices. But they do. It’s not that we’ve stopped loving God, but it’s just that things have happened along the way that have caused us to settle for a small life, one defined primarily by activity for God. We look around and sigh: It wasn’t supposed to be this way. Author Greg Hawkins knows that reality first-hand. He also knows there is something beyond that reality if we have the courage to step out and hope once more. Far from simply more stuff to do, Greg shares the necessary and doable shifts in our thought and language that lead to true intimacy with God. That’s the life of more we’ve hoped for all along, the life where everything is waiting for us!